A revolutionary backcountry shelter that eliminates condensation build-up. 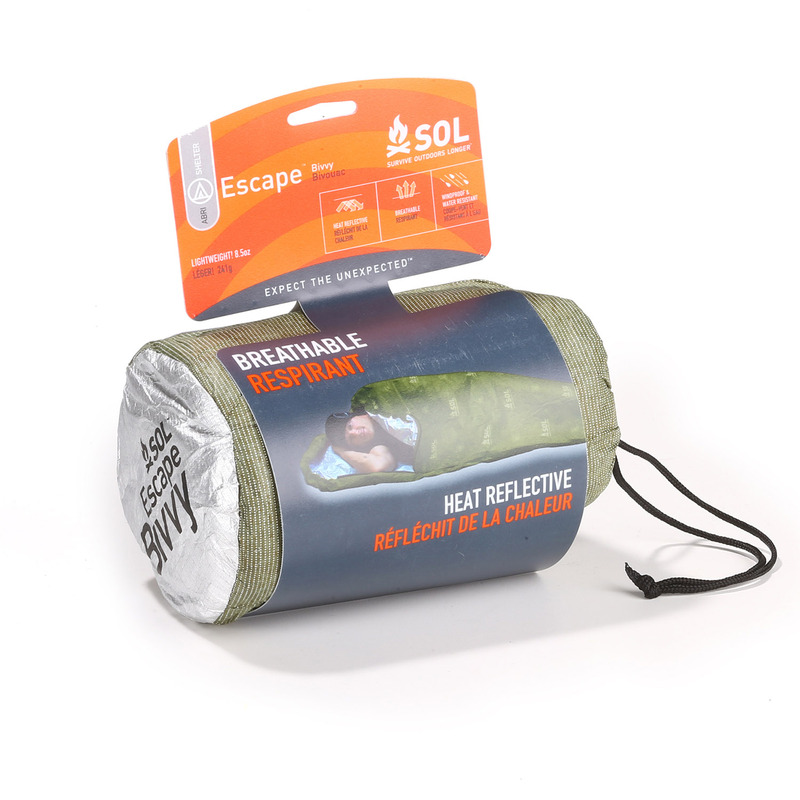 With the Escape™ Bivvy, you never again have to choose between staying dry and staying warm. The proprietary fabric reflects 70% of radiated body heat and lets moisture escape while keeping out wind, rain and snow. Waterproof seams plus a drawstring hood closure and a side-zip seal out the elements. 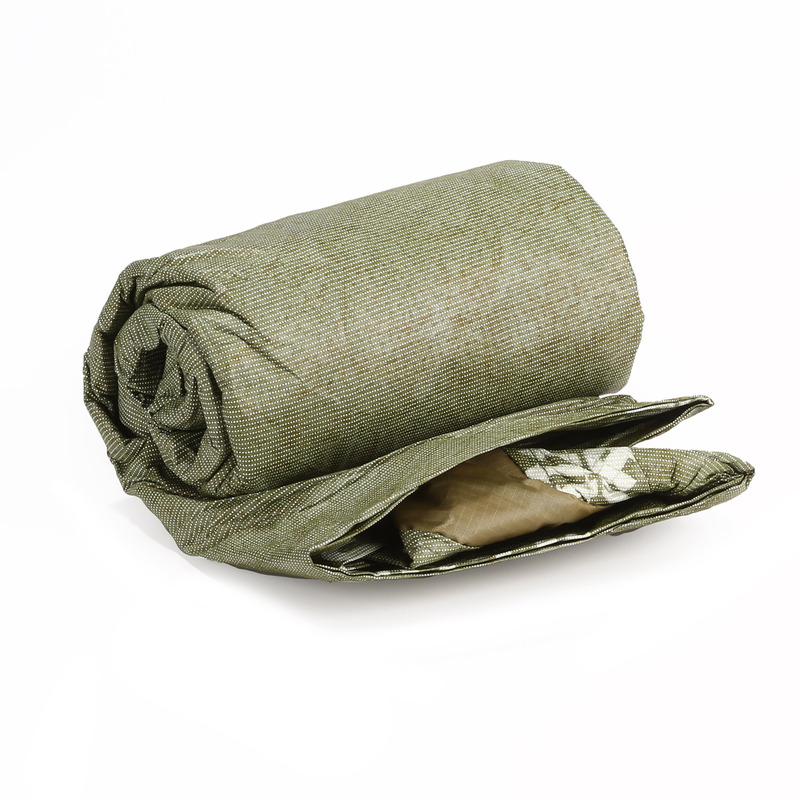 The low-visibility OD Green color with black logos is ideal for those times when survival means you don’t want to be seen.